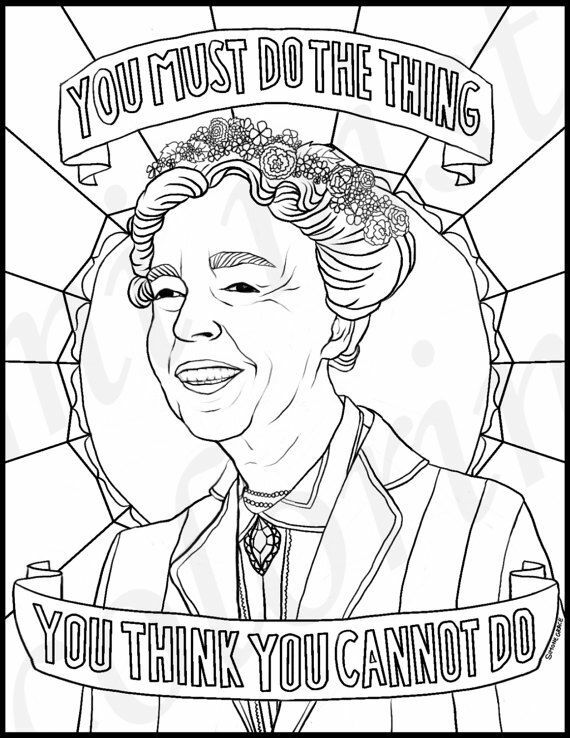 A roundup of important American women coloring pages would never be complete without the inclusion of Rosa Parks, whose famous act of civil disobedience was a turning point in the civil rights movement. She was not actually smiling in the UPI photo that this illustration is based on, but she definitely was after the Montgomery buses became integrated. It’s been a year since we discovered this collection of 11 free printable coloring pages and I still haven’t gotten over how utterly fantastic they are. 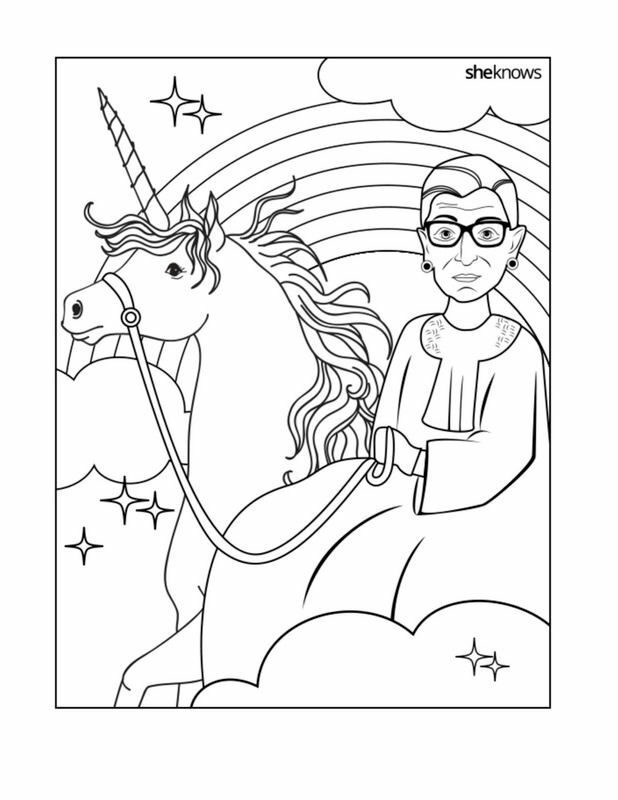 The notorious RBG riding a unicorn, sporting a RGB tattoo, or taking a selfie? Perfection. 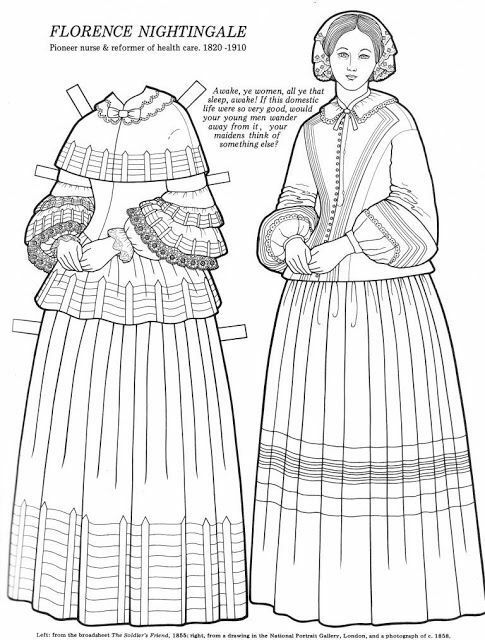 We love that Dover Publishing, to promote coloring books of theirs like Famous American Women, offers a large sample of famous women coloring pages from the book, all free for download. That includes this portrait of America’s first female Supreme Court Justice, who served for more 25 years before retiring in 2006. Thanks, Justice O’Connor, for paving the way for Justices Ginsburg, Sotomayor, and Kagan. 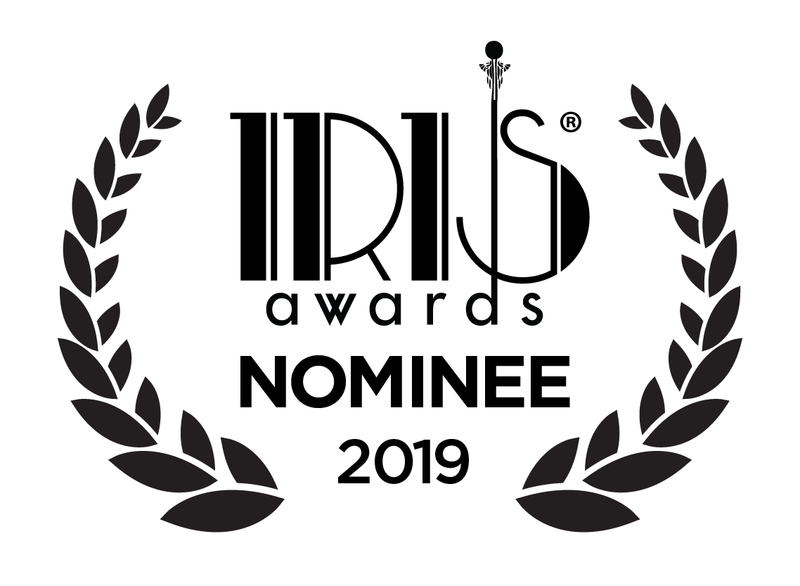 And hopefully, many more to follow. Another great option from the collection is this coloring page of Florence Nightingale, one of the great reformers of health care. 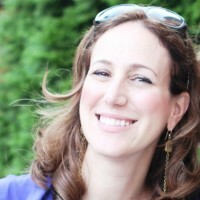 (Where is she when we need her now!) 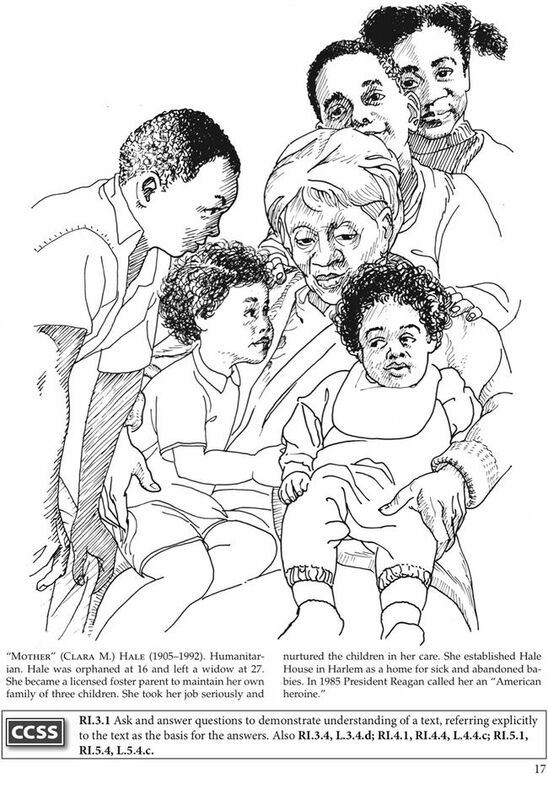 Also check the collection for famous American women coloring pages like Susan B. Anthony and Bessie Smith, plus tons more from all over the world, from Cleopatra to Golda Meir. 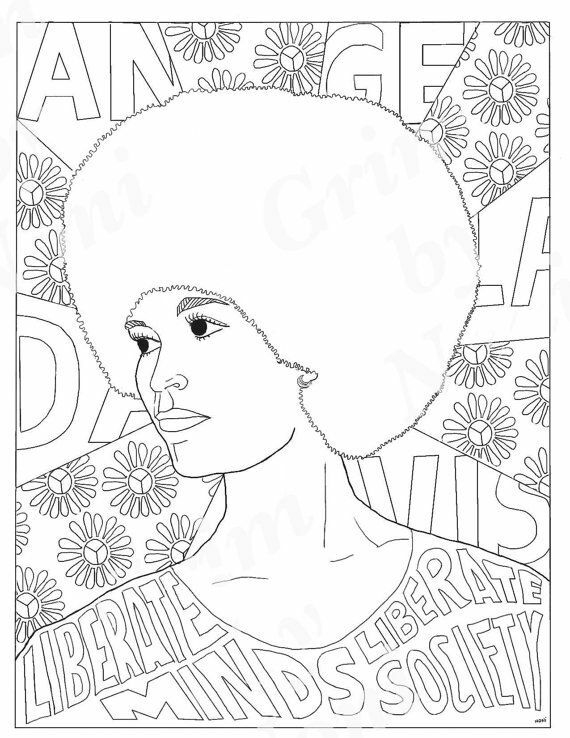 I’m obsessed with this funky, beautifully rendered design of activist and acclaimed author Angela Davis. Such a bold, powerful statement piece for a bold, powerful woman who’s been such an important figure in the civil rights movement, and still is today. 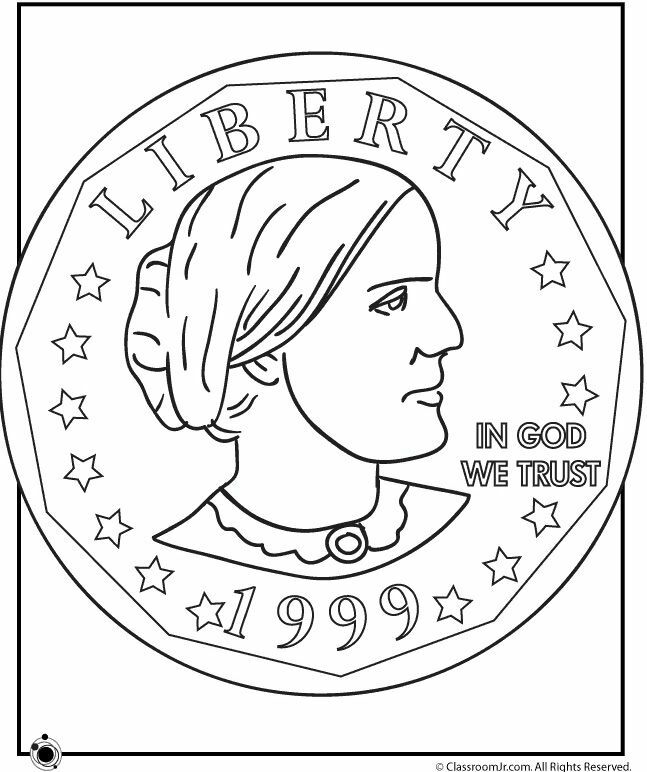 We all recognize the woman on this coin, but it will be nice to see how she looks in color, instead of all silver, when the kids get their hand on this coloring page. 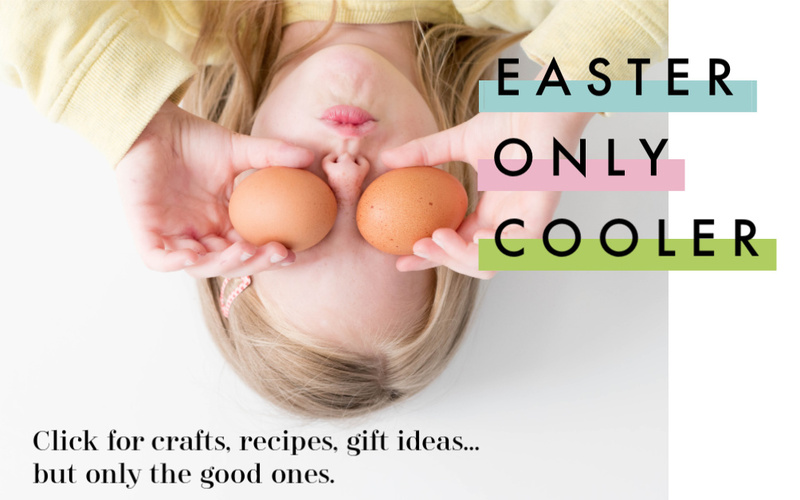 Free download, Kids Activities Whoo! 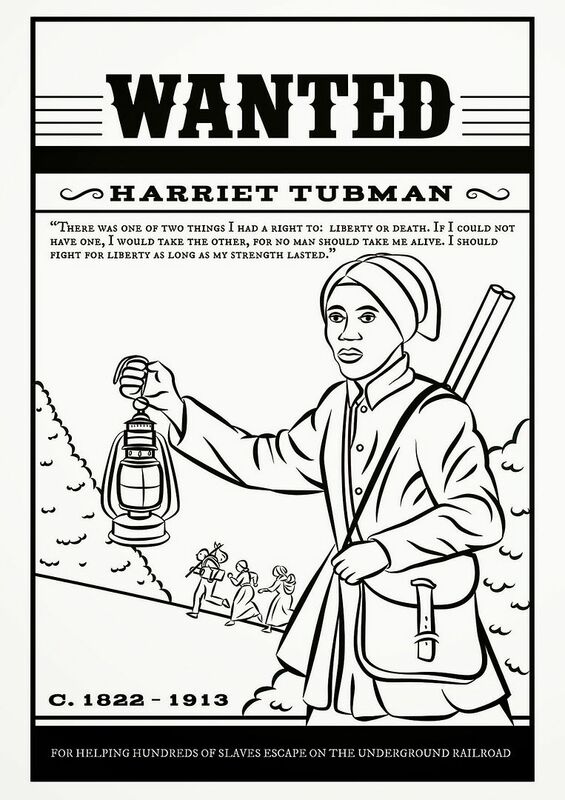 This illustrated tribute to nerves-of-steel abolitionist and slave-liberator Harriet Tubman is so powerful, rendered as a Wanted poster. 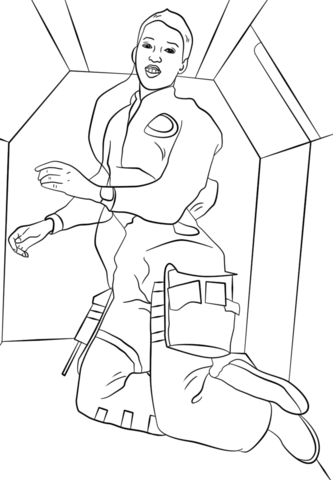 As far as famous women coloring pages go, this could be a great place for kids to start because her journey inspired that of so many thousands more. 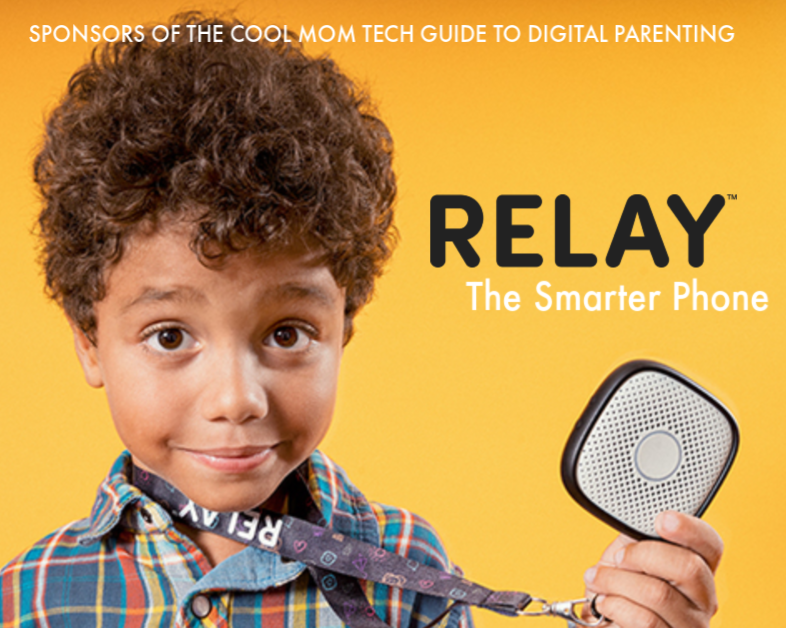 Related: Empowering gift ideas for girls who will run the world one day. 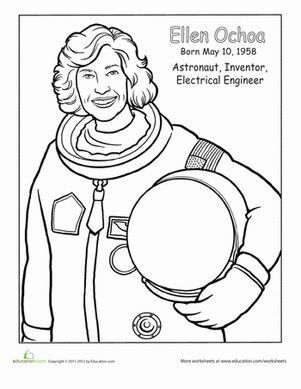 This is a fantastic famous women’s coloring page featuring one important American First Lady our kids should definitely know more about. I’m crazy about the quote featured, and the flower wreath she’s totally rocking. Beautifully done. 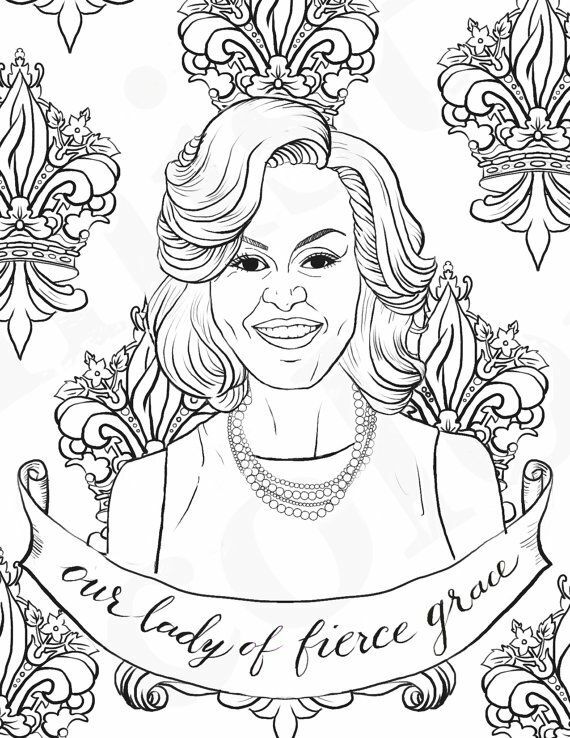 As long as we’re talking First Ladies, Michelle Obama was such an inspiration to so many girls for the past 8 years, we bet they’d love this coloring page to hang on their walls. 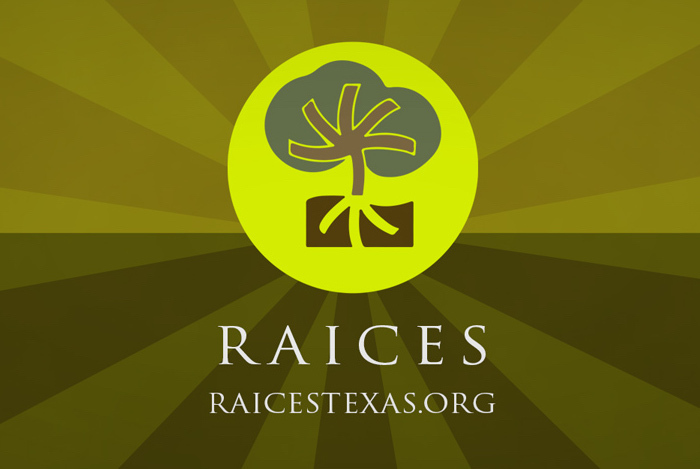 Fierce grace: Yes! I’m still anxiously awaiting the first woman on an American dollar bill so we can catch up with pretty much every other country in the world. For now, I’m stoked that Alabama chose to honor Helen Keller on their state quarter — which also happens to be the first American coin to include braille. So cool. The first Latina woman in history to travel in space is a perfect female pioneer to get to know better during Women’s History Month. 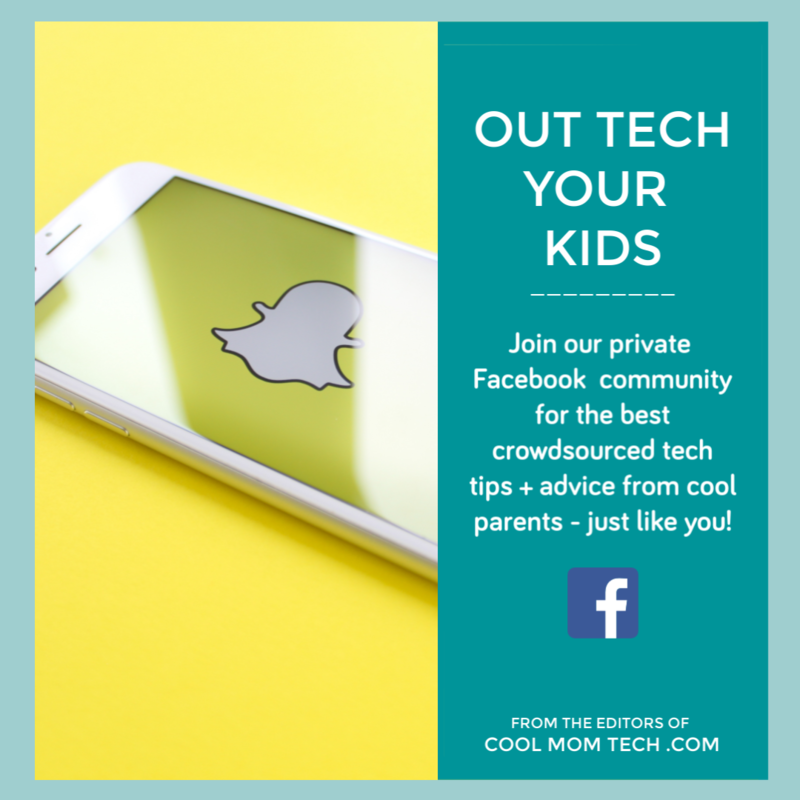 As the current director of the Johnson Space center — and only the second woman to ever hold that position — she’s still going strong as someone our kids can look up to. 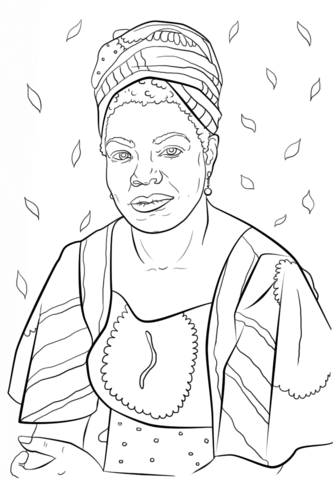 I’ve been a fan of phenomenal woman Maya Angelou and her poetry since I was a preteen, and I love how this coloring page captures her some of her creative spirit. Plus, so many fun details to color in. 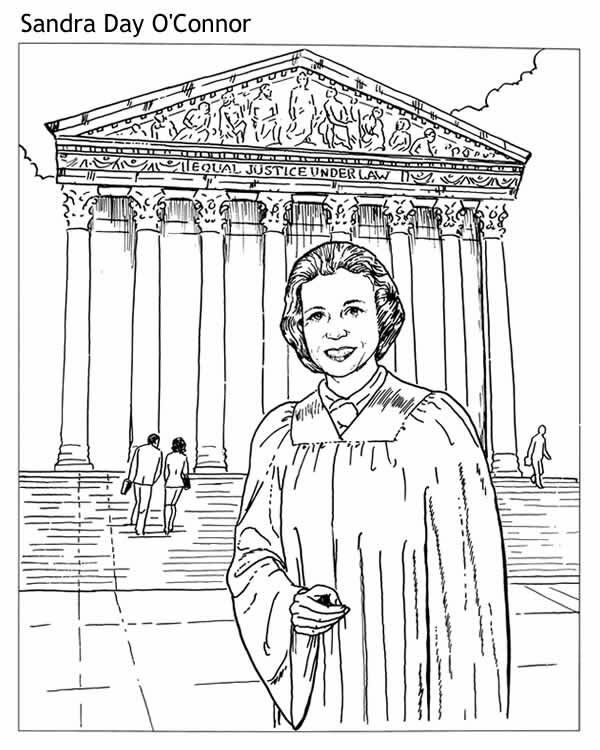 All those cute children may inspire kids to choose to color this coloring page — and hopefully get to know Mother Hale’s humanitarian work with foster children better. She’s a wonderful example of a woman who translated her own childhood hardships into a commitment to invaluable public service. 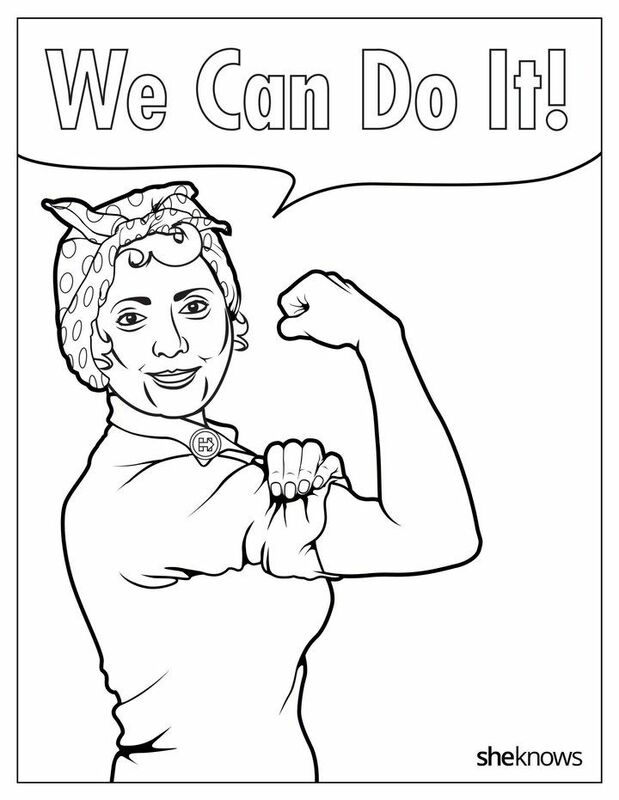 This Rosie the Riveter-inspired coloring page is such a good look on former Senator, Secretary of State, and the first female presidential candidate from a major US party. 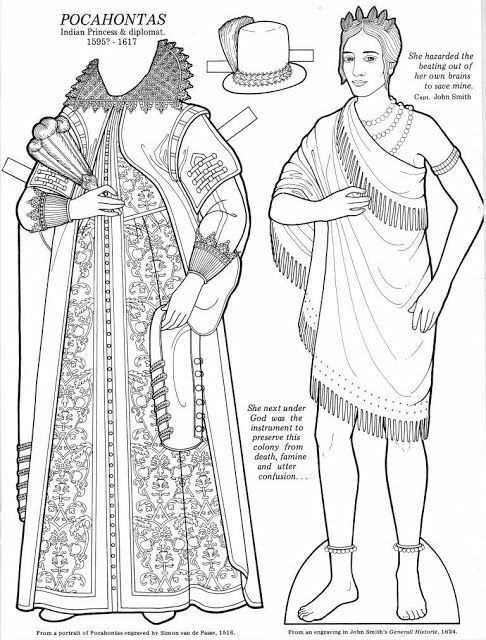 If you’re a fan, download the whole amazing coloring book to see 11 images including Hillary riding a dragon — and even breaking up the testosterone party on Mount Rushmore. Ha. 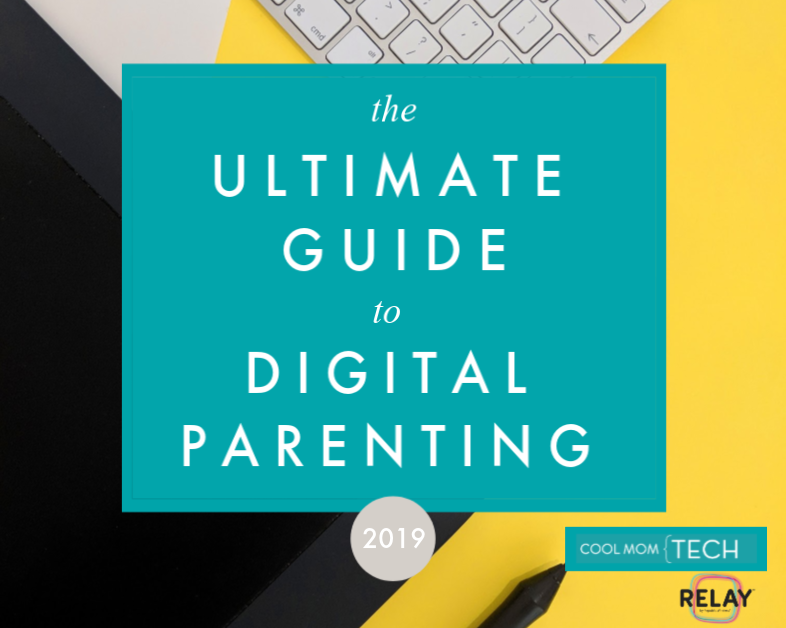 Are there supposed to be links to the pages themselves so we can download them from the correct site? These are all fabulous finds, and really great as references, but direct links would be very helpful . . . 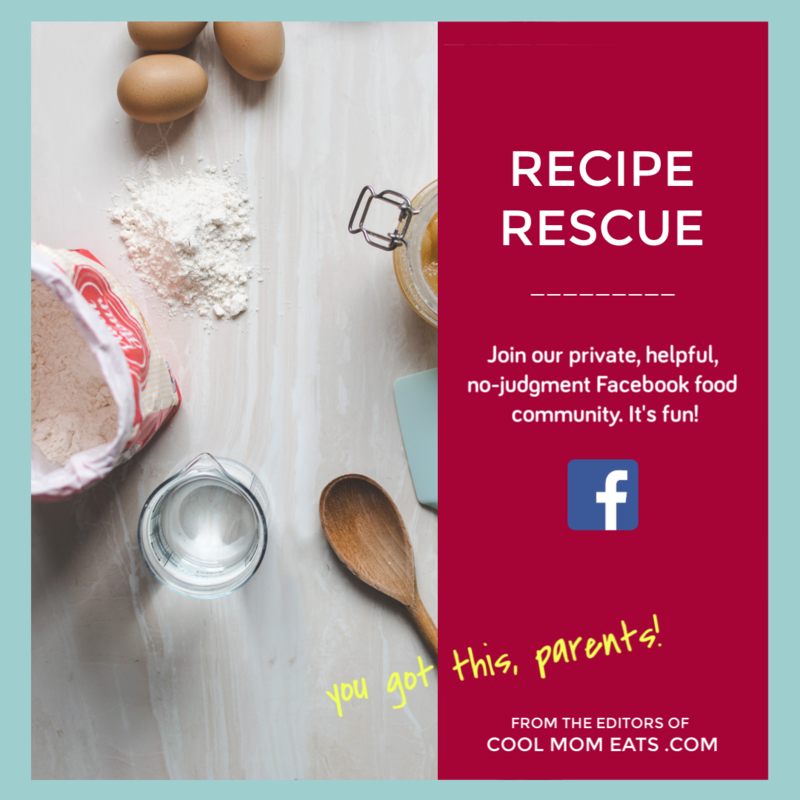 The names (subheads) of all the page names are links. 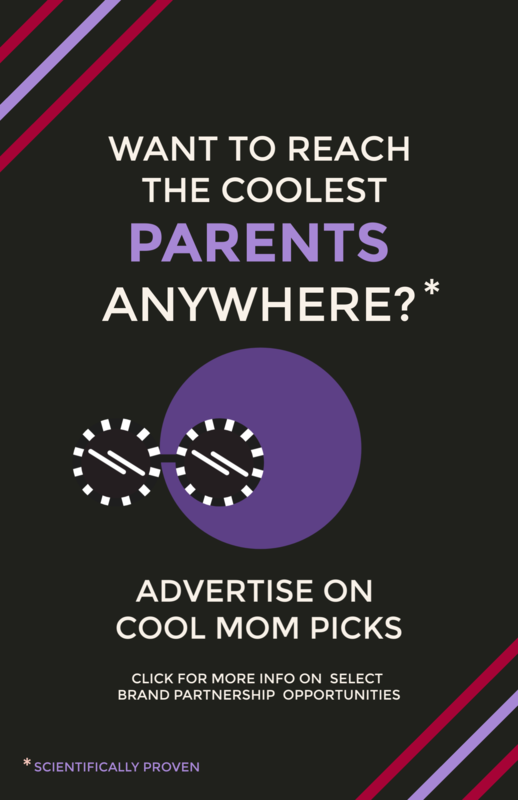 Just click on them!